Here are some pics of a Neapolitan pie I made last night. 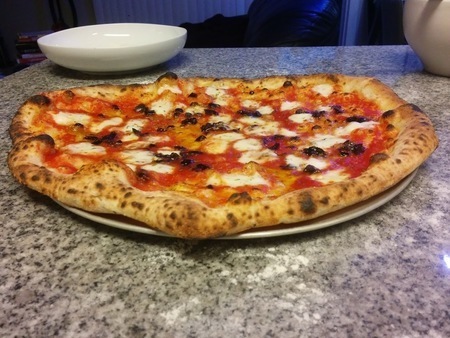 This was made using the Neapolitan recipe in The Pizza Bible. I used a 8 hour starter and a 36 hour cold rise. This afternoon, I will make another pie to see how the dough performs at 48 hours. This was a 255 gram ball. While the dough was fantastic, I stretched it a little thin. This pie was cooked at 850F for probably around 90-120 seconds. what kind of oven are you using? the pie looks great by the way. Pretty cool. Looks like it cooks beautifully. thats awesome Raj! did u add malt to your recipe? No malt for this one. Just flour, water, yeast and salt. It's unnecessary when cooking at higher temperatures. If you're making a Neapolitan in an oven that can't above ~650F, then malt will help. I do use malt in my New York dough and love it. 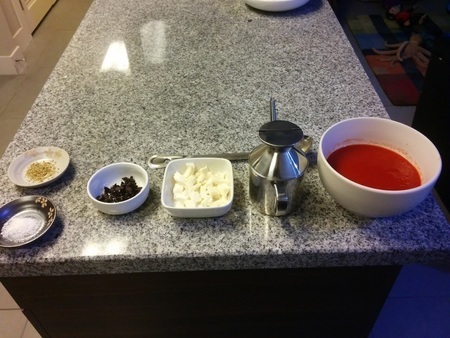 Your pizza looks really good...it has really nice colored crust.,any tips of how to make that ? Fantastic work, Raj! Looks amazing. I'm sure they tasted as great as they look. Thanks Mike! This one turned out great. I don't make classic Neapolitans too often. Usually, it's a blend of flours and a slightly lower temp (~700). Hi Raj, did the crust of your napolitane pizza become softe if yes how did you manage to do that? Actually your pizza looks good just like a professional pizza. 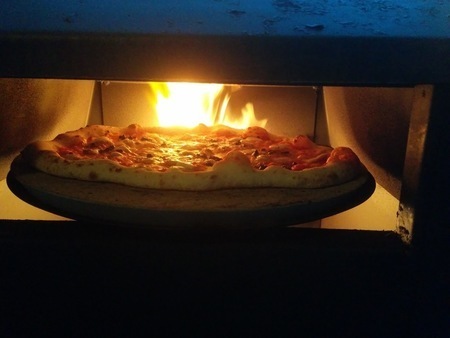 I do make pizza in my pizzeria but I don't get my crust of pizza soft event thought I use 700 degrees electric oven. Thanks Idriz! So, I'll post some details on your other thread. 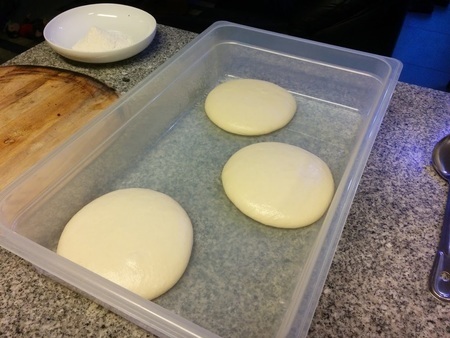 This is a simple Neapolitan dough. 8 hour starter, Caputo 00 pizzeria (blue) flour, salt, yeast and water. No oil or malt. fermented for two days, cooked at 800-850F for about 90-120 seconds if I recall.